After weeks of delays and cancellations, Amtrak says essential repairs on tracks at Penn Station will likely cause more headaches for commuters this summer. Andrew Siff reports. Amtrak is set to launch a much-needed makeover to its tracks and other infrastructure at New York's Penn Station beginning in May, and it will result in disruptions for the hundreds of thousands of commuters who travel through the transit hub, the rail agency announced Thursday. The move comes on the heels of several electrical and track failures at the station, the country's busiest. The projects will require weekday track closures and schedule changes, which will impact Amtrak riders and New Jersey Transit and Long Island Rail Road commuters, said Amtrak CEO Charles Moorman. Moorman repeatedly declined to answer how many tracks will be taken out during the summer, saying only that the agencies were working together to hammer out a plan that would minimize disruptions to passengers. Amtrak has announced it will be starting major renewal work on Penn Station, which is set to close tracks and disrupt thousands of commuters. 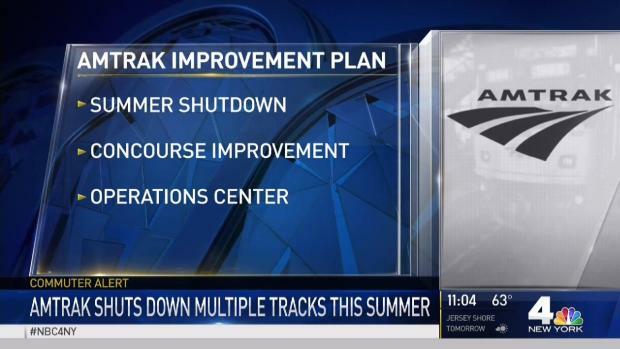 But a federal source briefed on Amtrak's plan tells News 4 "less than eight" tracks will be closed at any one time during the summer, which in theory would make it less disruptive than the dayslong repairs earlier this month after a NJ Transit train derailed. The agency originally planned to launch a series of makeover projects over a several years by doing work on the weekends, but it's become apparent that work needs to be done right away, Moorman said. The majority of the work will be done in the summer but will stretch into September. "There are two or three critical areas where we need to go in and get the work done," and that's where outages will take place, he told News 4 in a teleconference call. "The prudent thing to do is get this done more quickly, but it will have more of an impact on the station," he said. 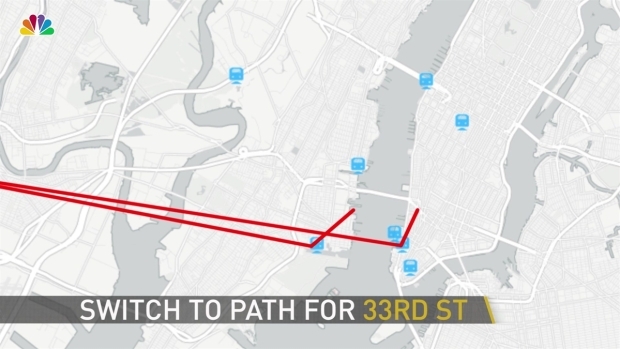 The first set of projects will occur in the area of tracks and switches known as "A Interlocking," which serves at the critical sorting mechanism routing trains from the Hudson River tunnels and the Long Island Rail Road's West Side Yard to the various station tracks and platforms in the station. After that, more renewal work of various station tracks will continue through June 2018. There will also be a focus on managing the passenger concourse level, which Moorman called "crowded and disjointed." Former MTA chairman Tom Prendergast has been brought in to help improve signage and customer service. Moorman also wants the three railroads to also develop a jointly staffed operations center. As Amtrak prepares to announce plans for track and other infrastructure repairs at Penn Station, New Jersey Transit and Long Island Rail Road riders are bracing for news of how the work will impact their already painful commutes. Andrew Siff reports. Also over the next few weeks, Amtrak will assemble a task force with NJ Transit, LIRR, local police and first responders to review station protocols when trains are disabled. It will also address potential overcrowding at the station during peak hours. "The events of the past month have shown that we need to step it up there," said Moorman. 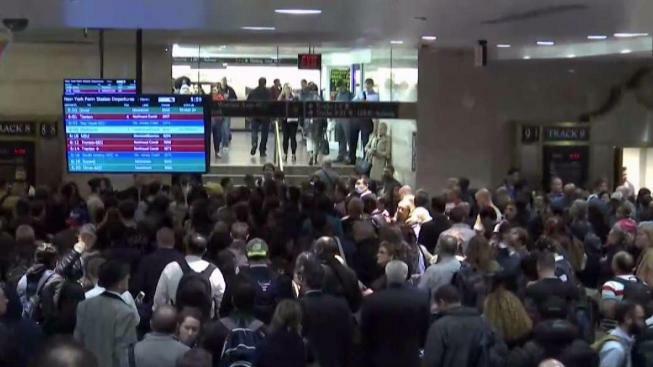 Two derailments and other problems since late March have caused chaos for hundreds of thousands of commuters in New Jersey and Long Island, as well as for travelers up and down the corridor between Boston and Washington. Commuter Renee Webster of West Orange wasn't happy to hear of the planned disruption. "People that work here will have to come here in the summer. That's unacceptable," she said. But Jim Phillips of midtown says the shutdown may end up being worth it. If NJT services are canceled or delayed to Penn Station while lines are closed over summer, here's a guide to your alternate routes into the city. "I like the idea that we are fixing something. I've been watching the news and there's a lot of infrastructure that needs to be worked on," he said. Amtrak owns the tracks and equipment at Penn Station, and leases them to the commuter rails. Both the MTA and NJ Transit have blamed Amtrak for poor upkeep on those tracks, and both New Jersey and New York officials have threatened the possibility of lawsuits against Amtrak over the condition of the rails in the region. On March 24 an Amtrak train derailed and bumped into an NJ Transit train. On April 3 a second derailment closed more than a third of New York Penn Station's tracks for four days. On April 14 a train got stuck in a tunnel for nearly three hours, leading to systemwide delays for travelers. On April 21 an Amtrak switch problem near Newark caused widespread delays.